Our world increasingly needs creative thinkers to ignite bold new ideas, invent transformative experiences and develop innovative solutions for global challenges. 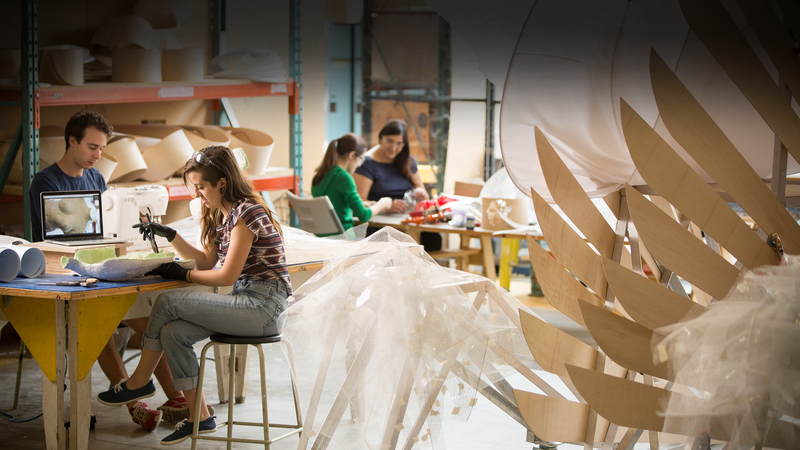 As one of North America’s premier centres for education in the arts, York University’s School of the Arts, Media, Performance and Design (AMPD) will unleash your creativity and prepare you to thrive in a world where the single most valuable asset is creativity. This is your opportunity to join Debra Brown (Cirque due Soleil choreographer), David Quilico (Vice-President of Sony/ATV Music Publishing Canada), Georgiana Uhlyarik (Associate Curator of Canadian Art, Art Gallery of Ontario) and Hael Kobayashi (Executive Director of Creative Intelligence, University of Technology, Sydney), as York AMPD graduates, uniquely defining what creativity means today and how it will be imagined tomorrow. Our School is committed to excellence, experimentation and leadership. Learning by doing is the hallmark of our programs. We offer intensive professional training and in-depth academic studies in dance, design, digital media, film, music, theatre and visual arts. But disciplinary rigour is only one part of the AMPD experience. Guided by award-winning artists and leading scholars with real-world experience, you’ll push the boundaries between artistic media, explore emerging technologies and discover the creative side of other fields. You will gain practical experience, explore career options and build relationships with prospective employers through field placements, internships and the School’s partnerships with creative industries and arts organizations, from Facebook to Canadian Stage. You have a dream. This is your time and this is the place to transform that dream into new ways of thinking, new avenues for your creativity and new paths to success after graduation. Begin your adventure now with the School of the Arts, Media, Performance and Design.